The Wall Street Journal estimates that 100 million Americans wager close to $100 billion on sporting events each year. What are you missing out on? The first ever sports bet probably happened a long time ago. It probably started between two cavemen. We’ll call them Grok and Akk. You see Grok once told Akk that he could run faster than a charging Saber Tooth Tiger. Akk scoffed at this notion but Grok was adamant. Akk relented with the prospect of Grok’s new spearhead if he wasn’t fast enough. The two agreed. Akk won the makeshift wager and Grok, well, he became a belch. As competition and man evolved we have continued to bet. It is one of the few intangibles that have carried over from those Grok-Akk days. We humans still have that innate desire for competition and risk. Sports wagering is yet another outlet for that intrinsic need. We all love sports but not all of us can compete at a high level. So we do it every day in business. We invest in stocks and we compete for partnerships, raises and promotions. We participate in office pools. Free Sports Picks are a great way to save time and up your game. It all adds up to taking risks. How much are you willing to give in order to gain is as individual as it gets. So we can’t run with Dwayne Wade, hit like Zach Thomas or throw like Roger Clemens so we find other ways to remain an active part of the sports we love and love to watch. Today, the stakes aren’t as high as the day Grok became Meow Mix, but that action has evolved into a multi-billion dollar industry. Today, we wager with dollars and cents and when we win, we still get that tremendous rush and when we take a beating, we feel like something the cat caught. In this article, we guide the beginning bettor through all the sports betting basics and terms they will need to place that first bet, start winning and get back in the big game. It will provide give you the basics to get started in sports betting. Winning in sports betting is like the icing on the cake and we’ll help get you ready for that first big slice. To get started you will want to decide on a sport to bet on and a sports book to make your wager. Selecting a wager outlet used to be a very secretive mission and your betting options were limited to what an individual “bookie,” or “book maker,” was capable of covering. These limited choices resulted in odds stacked against the bettor and a lingering apprehension when it came time for payouts. As sports betting became a larger and more accepted practice, sportsbooks rose above their disreputable “bookie,” counterparts to enter the digital age. Online sportsbooks now have the security of being a large company ensuring the best benefits for many bettors. Sportsbooks will take your bets in exchange for a commission - usually 10% of the wager. This is also known as the “juice,” or “vig,” or “vigorish.” In theory, the sportsbooks don't care who you bet on - they simply take half of their bets on each "side" and make their 10% commission. You have the opportunity to place bets on just about any sport you would like. From boxing to basketball, baseball to football for both college and professional games or events, these online giants can cover them all. Of course, make sure you follow the local laws where you reside as it relates to placing wagers. Important tip: Bookmakers make the bulk of their money by stacking the odds against the bettor. They charge you a "fee" to place bets with them (called the vig or juice). If you want to give yourself the best chance to win, you should seek out the best lines and odds by shopping across multiple bookmakers. Read more about line shopping. Many novice sports bettors don't even think about money management. They simply pick an arbitrary bet size and fire away. This strategy (or lack thereof) is very risky. It's always better to think about your bankroll and pick the right bet size based on your bankroll. Please read our article about bankroll management. It's critical that you set realistic expectations and that you understand high-variance is an inherent part of sports betting. Expecting to win every bet? Of course not. But how much are you expecting to win? You might be surprised to know that the best professionals in the business rarely achieve 60%. Most hit 55%-59% on a long term basis. But don't be discouraged. Hitting anything above 52.38% is profitable and 55%-59% is very profitable. Please review our articles on Return on Investment (ROI) expectations and how to manage your own expectations. The key is to recognize that you shouldn't come in and expect to break the bank right away. Successful sports bettors win by applying a disciplined approach over a long period of time. If you are looking to double your money in one weekend, you are setting yourself up for disappointment. So now you are armed with the knowledge of the sportsbook, bankroll management and expectations, you are ready to place your first wager! For this example we will use two teams from the NFL and take you through how to bet the two most common types of wagers – ATS or “Against the Spread,” and betting the OVER/UNDER. Let’s say the San Diego Chargers are playing the New England Patriots on Monday Night Football. You like the Chargers because they are having a great season, prolific offense, strong defense and they are racking up wins. Since the San Diego offense has been clicking, you also think that a lot of points will be scored during this game. The line shows that San Diego is -3, with a total of 44-points. The reason why there is a line is because one team is going to be favored over another to win the game. This way the oddsmakers can level the playing field, making the bet attractive to both sides. In this case San Diego is the favorite and New England is the underdog. This means that if you are placing your bet on San Diego, the Chargers will have to beat the Patriots by at least three points for you to win your bet. If they lose the game or win by less than three, you lose your bet. Additionally, the second number shows 44, which is the OVER/UNDER score. By betting the OVER, you are putting money on the possibility that the sum of both team’s score will be greater than 44-points at the end of the game. Next to the line for each type of bet (ATS, OVER/UNDER), you will see the odds. The odds simply mean the chances of the team winning the bet and how much money you will win in relation to how much you bet. The (-110) indicates that the sportsbook is charging a 10% "juice" on these bets. That means that you will have to risk $11 for every $10 you wish to win. Again, this is the sportsbook's profit. Now you would like to place your bet in the hopes of winning $100 from each wager. You would bet your $110 ATS on the Chargers to win and cover (win by three or more points), and $110 for a total score of 44-points for a total wager of $220. On Monday night, the Chargers roll to a 31-20 victory and you have won both of your bets! The Chargers 11-point margin of victory was more than enough to cover the spread of three points needed to get the win for a cool 100 bucks. A total score of 51-points at the end of the game also means you have won your OVER/UNDER bet for another $100 stack. Not bad for your first bet. Betting Straight Up- Winning straight-up means simply winning on the scoreboard without any regard to the point spread. Betting straight-up would be to take a side or a team and bet on them to win outright. ATS or “Against the Spread,”– Betting with a point spread or line instead of on the straight-up result. Taking points on an underdog or giving points on a favorite. Side– Like betting straight-up, a side bet is a wager on a particular team, or side to win a contest. Betting the totals/over/under- The line on a given contest, representing the combined number of points/goals scored by the two teams; see over/under. Betting the over/under is a bet on whether the combined total of the points or goals scored by the two teams will exceed or be less than a specified number. Half time total– Betting on a team or total in the first half of the game only. Parlays- A parlay bet is a bet with two or more teams where all the teams must win for the bettor to be successful. Parlays are viewed by sharp gamblers as a sucker bet because the house edge (juice) is large. Teaser- A bet on two or more teams where the line on each team is adjusted in the favor of the bettor. All bets must win in order to win a teaser. Betting the “Money Line,”- The amount you must bet to win $100 (if betting a favorite), or the amount you win if you bet $100 (if betting an underdog). This is a bet based on the straight-up result of the game without a spread. Betting the “Puckline,”- Used only in hockey. A “spread” usually set at exactly 1.5 goals. Favorites lay -1.5 goals while underdogs “get” +1.5 goals. Now that we have covered the betting basics, we can breakdown some of the “exotics,” or “promotional,” bets. Promos/exotics- Any wager other than a straight bet or parlay - also called a prop or proposition. Betting “futures,”- Wagers made, or lines/odds posted on an event or outcome taking place sometime in the future, like betting during the season on the eventual Super Bowl winner. So the practice of betting on sports has come a long way from those cold days in the cave. Betting systems have advanced and online sports books have made betting and pay outs easier and handicappers can help you make the winning selections. The ability to pick winners has been a much sought after skill since Akk’s cave-mate Erk deduced that the four legs of the Saber Tooth tiger were twice as many as Grok’s two legs. This observation gave Akk the inside knowledge and statistical analysis to make an educated decision when agreeing to the bet. Erk shared this information with Akk and Akk got the win. Akk gave Erk a shiny new rabbit skin for his help and the handicapping industry was born. Handicapping is the attempt to predict the outcome of sporting events by compiling research and analysis to determine a winner. Nowadays, there is much more information to pour over and many factors such as the team’s or individual’s history, trends and the proper way to use the point spread and odds can make the difference between selecting a winner or loser. Today, many handicappers develop and employ their own system to determine who has the best chance of winning. 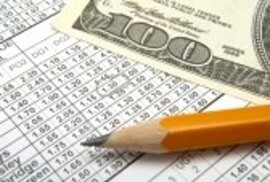 Handicappers sell their observations and advice to bettors that would like to increase their chances of winning. There are a few things to understand when deciding whether or not to use a handicapper. The first is to understand that the average bettor is not going to have the time or the access to complete the necessary research to make winning picks – keeping up with all the numbers is a full time job! Expert Handicappers complete all the research and sell their selections to the general betting public. The next thing to consider is the cost associated with employing the services of a handicapper. But consider that a handicapper may charge $200 a month to provide bettors with picks, but if these picks win or “hit,” and the bettor can make $600 per month on those winning selections, the handicapper’s fee is well worth it, especially compared to losing on your own. Think about the type of qualities that are important to you when selecting a handicapper. The handicapper you select should be honest and up front with their history as a handicapping professional. All of their past picks, performance record of wins and losses and how they determine their picks should be out in the open. Also be wary of any handicapper that use the terms “lock,” or “sure thing,” because any seasoned gambler will tell you - there is no such thing. Stay away from the high pressure sales pitch. You should feel comfortable about whom you have managing your money, and that in essence, is what a handicapper will do for you. After all, you are placing these bets on the basis of their picks so remember: they work for you and not the other way around. Well there you have it - a simple yet comprehensive guide to help you make your first bet. We have also compiled a glossary of betting terms you can refer to for additional information. Learn more about how I got my start as a professional sports handicapper. Join my youtube channel where I share handicapping strategies and free video picks every week during NFL.